The Marlins picked up relief pitcher Bryan Morris in a midseason trade with the Pirates in 2014. He'd had success in Pittsburgh during Jim Benedict's tenure. JUPITER, Fla. — Edwin Jackson, bounce-back candidate? "That would be the one you might want to keep your eye on," said Marc DelPiano, Marlins vice president of player development. 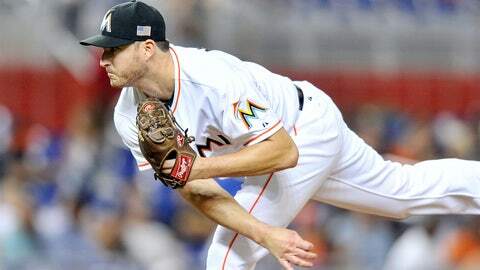 Jackson is precisely the type of pitcher that Jim Benedict, the Marlins’ new vice president of pitching development, helped revive during his seven-year tenure with the Pirates. "He cannot only identify the crime scene, but he’s a combination of a detective and CSI all in one," Marlins assistant GM Mike Berger said. "He can solve the problem." Which is why Benedict might prove the Marlins’ most valuable pickup of the offseason — more valuable even than free-agent left-hander Wei-Yin Chen, manager Don Mattingly or hitting coach Barry Bonds. 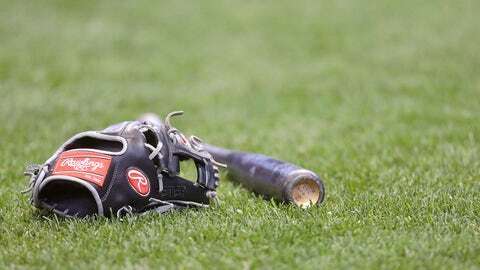 To land Benedict, the Marlins had to compensate the Pirates with a prospect, as first reported by ESPN.com’s Jayson Stark. Managers under contract occasionally require such compensation — think Randy Winn for Lou Piniella. But pitching gurus? Pittsburgh GM Neal Huntington said that while the Pirates are committed to helping staff members achieve professional goals, DelPiano already had left for Miami and the team was concerned about losing another executive with the title, "special assistant to the GM." Thus, the Pirates acquired right-hander Trevor Williams, the Marlins’ second-round pick in 2013 who reached Triple-A last season, for right-hander Richard Mitchell, who is considered a non-prospect. "The challenge becomes when that same organization continues to come back for people," Huntington said. "It becomes harder to lose somebody that has insight on your organization and who the talented people are in your organization. We do need to protect ourselves from being raided by a single organization or exploited by a single organization." Berger referred to Benedict as "the man behind the curtain" with the Pirates, but no one man is a miracle worker. 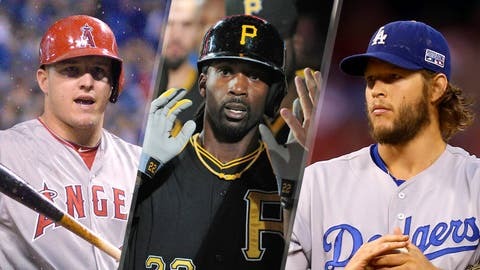 The Pirates also benefit from the expertise of pitching coach Ray Searage, bullpen coach Euclides Rojas and manager Clint Hurdle, not to mention their strength and conditioning coaches, statistical analysts and trainers. Benedict also was a good teacher, Huntington said, adding, "while we may not have Jim Benedict here, we’ll have parts of what allowed him to be successful." The interesting thing about the Marlins is that after years of disarray, they are trying to build the same type of infrastructure. If, for once, owner Jeffrey Loria remains patient, his franchise might be on to something. Mattingly and several new coaches were the splashiest hires. But the Marlins also took Jason Pare from the Blue Jays to head their analytics department. And they brought back DelPiano, who in his previous stint as farm director oversaw the promotions of Miguel Cabrera and Dontrelle Willis from Double-A to the 2003 team that won the World Series. DelPiano, in turn, hired a number of new minor-league coaches and managers. The Pirates used Benedict as an advance scout and pitching troubleshooter. Benedict’s responsibilities with the Marlins will be "all-consuming," DelPiano said, including everything from hiring pitching coaches to offering input on potential draft picks. For Benedict, it’s something of a reunion with old friends. DelPiano and Benedict were coaches for the Rangers’ short-season Class A club in Erie, Pennsylvania, when a first baseman-outfielder from Harvard named Mike Hill made his professional debut in 1993. Hill is now the Marlins’ GM. DelPiano, Benedict and Berger all previously worked for the Expos, though Benedict left before Loria sold that team and bought the Marlins. "When Marc got the job here, he evaluated this scenario, and it fit who I am — someone with an us-against-the-world mentality," Benedict said. "When people quit on a guy, I like to be involved in maybe resurrecting and proving people wrong. It’s driven me for a long time. "This was that. A small market, lower payroll, young talent. That’s where I really fit. Not that Pittsburgh wasn’t doing that, but I think we had a good run. It was time. "I love challenges. At my age, at this stage in my career, I thought this would be that. And that it could happen quickly." So, what is it about the "man behind the curtain?" What inspired Loria to encourage his baseball executives to pursue Benedict? What makes him so good? DelPiano and Berger sat in an office at the Marlins’ spring-training facility on Thursday, discussing their admiration for Benedict and exchanging thoughts on his expertise. DelPiano: "He can take careers that were positive, that were fallen, and re-establish them again. You can take a chance on buying low on a pitcher because he has the ability to identify the fixes. He’s not going to take a guy who has never had success and make them successful. But someone along the line who had some success at some level, he can go back to that and help them re-establish themselves." Berger: "As an evaluator, you’d see pitchers in Double-A that you had maybe [rated] Triple-A tops on because they’re 1½-pitch guys with below-average command. Then all of a sudden you’re figuring out ways to delete the report you submitted two years ago because it’s Jared Hughes, it’s Tony Watson, whoever it may be. Maybe those guys aren’t great examples. …"
DelPiano: "But those were all his projects. Hughes was a high [arm] slot guy. [Benedict] lowered the slot to get the sink. Watson was a high-slot starter; all of a sudden he put him in a bullpen role. …"
Berger: "Bryan Morris is a perfect example. It’s fair to say that we acquired him for the 39th overall pick [a competitive-balance selection] at the 2014 deadline in large part because of what Benny and Ray had done. "You peel away the layers. It’s Ray at the major-league level. But it’s the man behind the curtain, too, that is implementing these fixes and coming in and doing maintenance." And Benedict? How does he describe his work? "It’s going to a place where others haven’t gone," Benedict said. "I call it the five levels of, ‘Why?’ Keep digging to find out why. Why does this happen? Why do you get Tommy John? The Clayton Richards, the Volquezes, those guys. Why are you in Pittsburgh? Why aren’t you making $150 million like a lot of other guys who are less talented than you? Let’s figure out why. 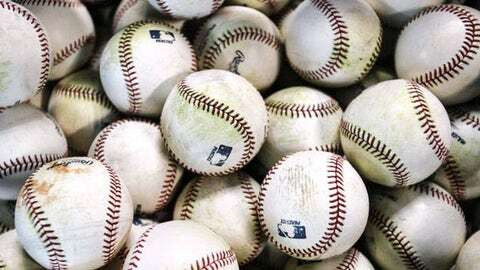 "I have tools that I’ve used to do that, whether it’s analytics, video, other people, the pitchers themselves, spending the time to figure out why and then building them back up through that. If they’re willing to do the work, I’ve always been willing to do the work with them." So now he begins anew. The Marlins signed Jackson for $507,500, with the Cubs paying the balance of his $13 million salary. They also signed Dustin McGowan and Paul Clemens, two other pitchers Benedict liked in the past, to minor-league contracts. Benedict, 55, might not make the same impact on them that he did on Richard and Vance Worley, on Edinson Volquez, Francisco Liriano and Gerrit Cole. But he said his best work with Pirates pitchers was in January and February, before spring training began. And Jackson, who had reasonable success as a reliever for the Cubs and Braves last season, is eager to apply lessons from his new mentor. "I’m in," Jackson said. "I’m all-in, with nothing to lose." The same can be said of the Marlins. The right people are in place. The trick now is for Loria to do something completely different and stay the course.